I was contemplating posting my disappointment over the 4th October 2011 release of the not-so-impressive 5th generation iPhone 4S in Cupertino, California when I read first thing today on MarketWatch of the passing of Steve Jobs. Little did we know that the day the 5th iPhone was launched was the very day that this great man last breathed air. “Steve’s brilliance, passion and energy were the source of countless innovations that enrich and improve all of our lives. The world is immeasurably better because of Steve. Goodbye, and rest in peace Steve. Thank you, thank you, and thank you for improving the quality of so many lives. You will be deeply missed. 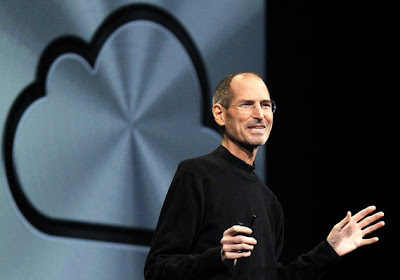 Let's dedicate the S in the new iPhone 4S to Steve. The world lost someone who gave so much. Every now and then there'll be geniuses coming along changing the way we think and do things. This guy is one of the rare landmarks.